Lots of different thoughts from the January 31st episode of Raw. And even though in some of these ramblings, I'm asking a question, I don't expect any answers, but feel free to inject your opinions too. Alberto Del Rio kicks off the show with a big party. No surprises there, but I think it would have made more sense for him to announce he was facing Edge on SmackDown!, the show which features the World heavyweight championship. Good to see an actual tag team title match. I was surprised that Santino and Koslov went over, especially with the Cobra. I think there is still work to be done in the tag team division. More on that to come. Something that bugs me about Cole, besides the obvious things. I hate that he calls the Nexus the "new" Nexus each time he refers to them. We get it. We know there not the original guys. But I never heard any WCW announcers say the "new" 4 Horsemen when they added a new member. So stop it Cole. So the King is in the Raw Rumble. Lots of folks speculating his going to win to ensure the Miz retains and heads to Wrestlemania as the champion. My only question, why in the world are R Truth and Jerry the King Lawler considered the 6th and 7th best guys on the roster? Ted DiBiase was spot on with his promo on the King. But once again he's made to look like a chump. I think the guy is destined for better things and I hope this is just a rough patch. Speaking of revamping the tag team division, I'll say it again. Move Ted to SmackDown! and reunite with Cody Rhodes to get Priceless going again. I've heard different theories on the 2-21-11 promo. Some have said Sting. I think it's Skip Sheffield. I've written a post about my feelings on him before, but I can't think of anyone else who it could be. Someone even suggested Branden Walker. Hope not. LOL. I don't care about the Bella twins and why they were dating Daniel Bryan. Cole and King, how about focusing on the match and calling it. Do an interview segment back stage. When a match is going on in the ring, let's call it! Looks like any push Tyson Kidd was even being considered for are over. It's time to reunite he and D.H. and start the Hart Dynasty again. Get them a manager and put them over as heels, asap. Cena "interferes" in the Miz's match against Edge. And Cole's whole Miz lovin' gimmick is getting on my nerves. I'm a fan of the Miz's too, but Cole takes it too far. How many tag team partners are we going to give Mark Henry? I understand the E stands for Entertainment, but I do not find "dance offs" the least bit entertaining. Remember, the W (for wrestling) comes first. If the WWE wants the fans to buy into Lawler as a top contender for the WWE title, why don't they ever mention his past? He's a former AWA World champion. If I remember correctly he's beaten guys like Ric Flair, Randy Savage, and Mr. Perfect. I even seem to remember him handing Andre the Giant a pretty bad beatdown way back when. I think that was Lawler. Anyway, my point (and my wrestling buddies) is that Vince owns the footage of most if not all those matches. Why not use it? Something else on Lawler, 15 years ago when he was still too old for a title run, they made him look like a fool against Bret Hart, Roddy Piper, and the Ultimate Warrior. Heck, he got knocked out of one Royal Rumble in about 10 seconds. Now, at age 62 or 63 I'm supposed to believe he can beat a guy young enough to be his kid? R Truth tried to skin the cat. I'll give him points for trying at least. Why is Michael Cole amazed every time John Cena does a double Attitude Adjustment? Especially with John Morrison and R Truth. Cole, he did it to Edge and Big Show back at Wrestlemania 25. I'm pretty sure you were there and even called the match. Just sayin'. Wouldn't it have made more sense for Sheamus to toss Lawler over the top rope instead of running over to Morrison and Cena? Why is Cena putting a submission hold on a guy in a battle royal? Having Morrison do all the near throw outs takes away from his performance Sunday night in my opinion. Okay, so the King is going to go to Elimination Chamber. Should be interesting. I still don't understand why NOW he is getting a push and a shot at the title. I know he does a lot of work outside of the WWE, and I'm not taking anything away from him. He's a legend. But I think that ship has sailed. Okay, that's enough for one day. Thanks for reading. Check out My 1-2-3 Cents on YouTube too! Congratulations on being the Blog of Note today! It's always good to see someone writing about topics they enjoy. 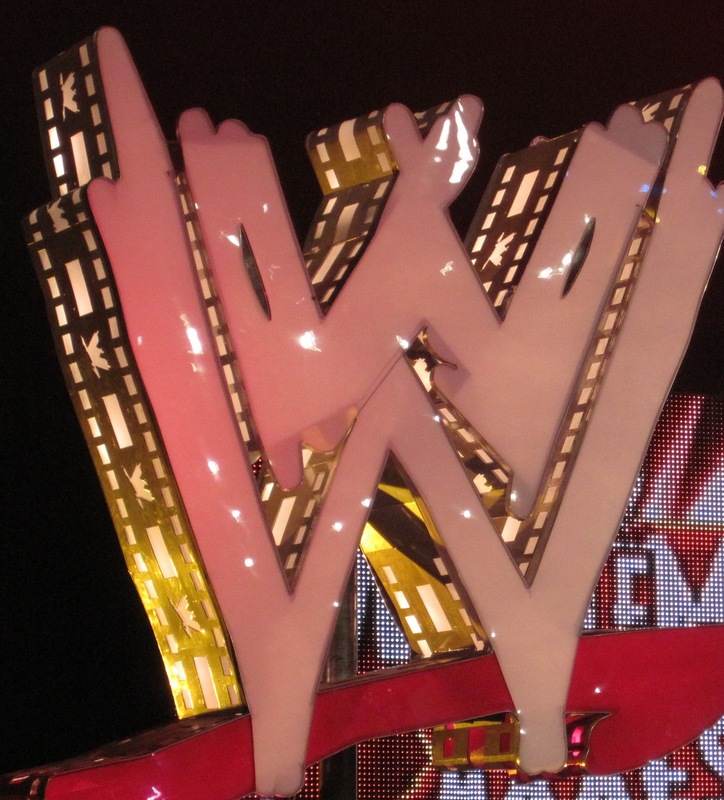 Will Wrestlemania 27 Have "It"?